Taking care of your skin is very important. 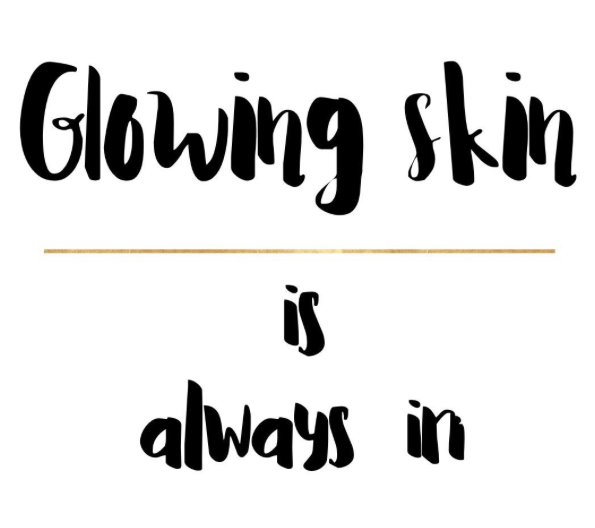 Especially now that it's Spring the sun is out even brighter and you have to protect your skin. Thanks to my mom who is really a beauty guru I started trying out different kinds of skincare products. Some were brands from the local pharmacy, others were products that only consisted of natural ingredients. I have to say that the products with no harmful ingredients are the ones I love the most. So I started searching Google and I stumbled across this beauty brand from a Dutch dermatologist called Jetske Ultee. 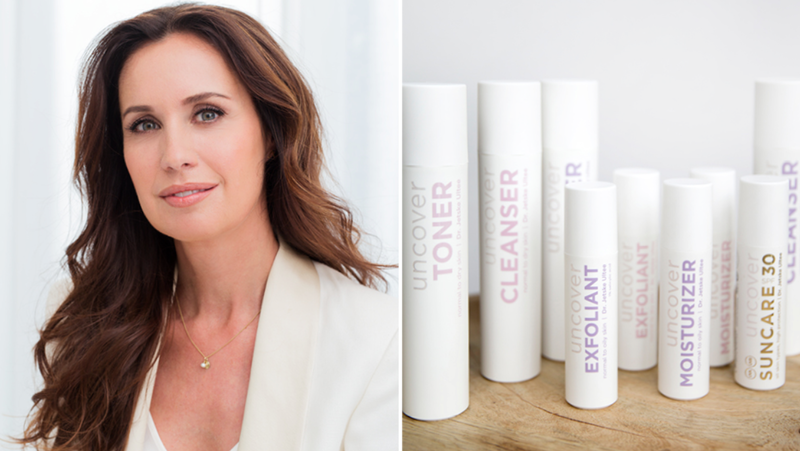 She has designed Uncover Skincare, skincare products that are only made from real ingredients that matter. She does research on what ingredients are actually necessary in a product. Ultee concluded that many expensive skincare products have ingredients in them that don't do anything for your skin. Creams that are more expensive don't necessarily have to be better. I was kind of surprised after reading this on her blog! There is are no miracle products to make your skin instantly better. Uncover Skincare has a 5 - step plan. The first step is cleaning your skin with the cleanser. The next thing you can do is to calm down your skin by using a toner. After using the toner, the exfoliant removes all the dead skincells and oil that are still left. Now that you're almost done you can moisturize your skin with the moisturizer and last but definitely not least apply a sunscreen before you go out to prevent your skin from aging. It's better to follow all these steps in the right order for a good result, but it's not really a problem if you only use the cleanser or the exfoliant. In my experience it still improves your skin. The products are available for any skincare type. Right now I have quite a lot of small breakouts on my forehead and around my mouth. I think it's because of hormones and my skin is also very oily on the t-zone. 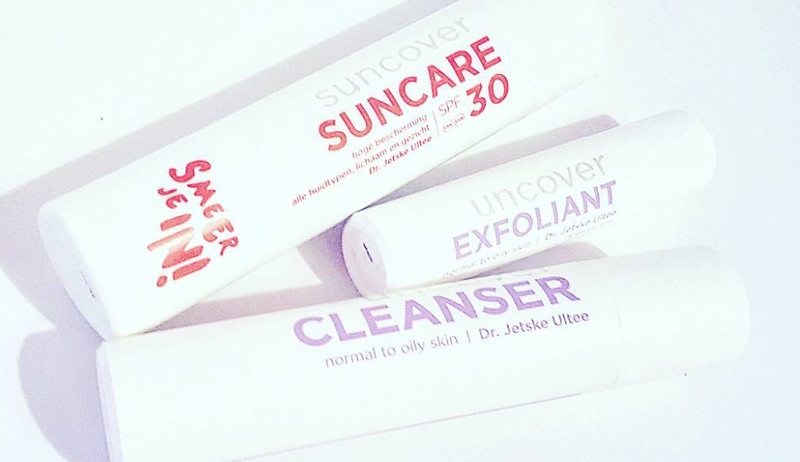 Uncover Cleanser, normal to oily skin. You can use the cleanser one to twice a day. If your skin is really sensitive than it's better to only use it in the evening. In the mornings washing your head with lukewarm water. Cleaning your skin removes the besides the dirt the oil from your face. Oil causes breakouts so don't forget to clean! Aqua, Cocamidopropyl Betaine, Glycerin, Sodium Lauryl Glucose Carboxylate, Lauryl Glucoside, Sodium Laureth-11 Carboxylate, PEG-150 Distearate, Laureth-7 Citrate, Sodium Chloride, Laureth-10, Methyl Gluceth-20, PEG-4 Rapeseedamide, PEG-200 Hydrogenated Glyceryl Palmate, Ethylhexylglycerin, PEG-7 Glyceryl Cocoate, Caprylyl Glycol, 1,2-Hexanediol, Tetrasodium EDTA. Uncover Exfoliant, normal to oily skin. When your skin is used to the products you can use this exfoliant, it's like a peeling and makes your face really smooth. It's advised to only use it once or twice a week. Aqua, Glycerin, Pentylene Glycol, PEG-40 Hydrogenated Castor Oil, Citric Acid, Salicylic Acid, Methyl Gluceth-20, Dipotassium Glycyrrhizate, Hydroxyethylcellulose, Evodia Rutaecarpa Fruit Extract, Allantoin, Sodium Hydroxide, Ethylhexylglycerin, Butylene Glycol, Disodium EDTA. The last product that I got is the Uncover SPF 30. The cream is for both your body and face and is 250 ml. For the best coverage Jetske Ultee advices to apply every two hours. She also added niacin amide(vitamin b), this ingredient helps to protect your skin from the sun extra well. I'm very happy that I discovered this brand because taking care of your skin is very important. From a young age my mom has always given me tips and advice from what's she has been told. I'm really grateful for that because now I can share this with you! Before I used Vichy to clean my face, but that made my skin really dry afterwards even if I applied a moisturizer. With the cleanser from Uncover Skincare my skin is not dry and feels really clean and soft. It's because she carefully picks the ingredients that work for your skin. Also the exfoliant and sun cream are really good. Choosing the perfect sunscreen for your face can be a challenge. Some are sticky and others are very thick. With this sun screen it doesn't feel like your wear it at all. It almost feels like a moisturizer and that's really a plus point! 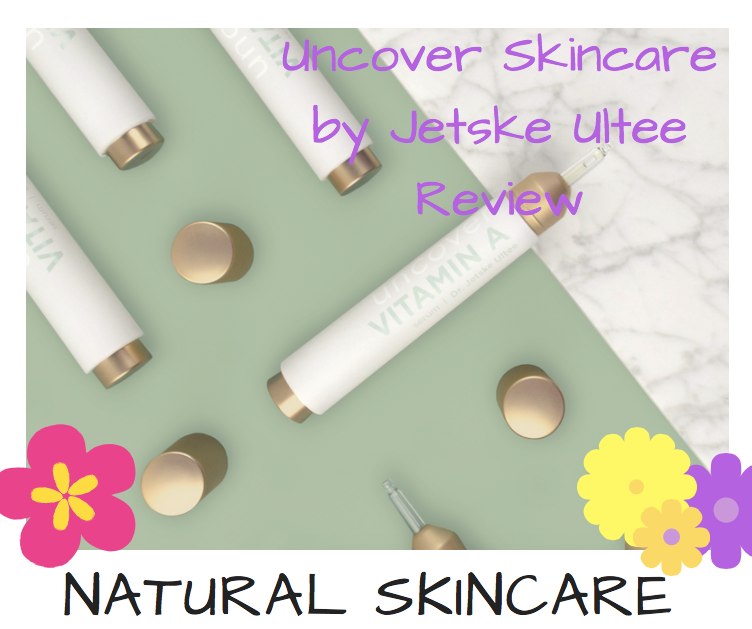 Jetske Ultee also has a beauty blog which you can visit to get more tips about what products she advices. Thank you very much for reading today's post! I hope you enjoyed getting to know this new brand! QUESTION TIME - What is your favorite skincare brand?